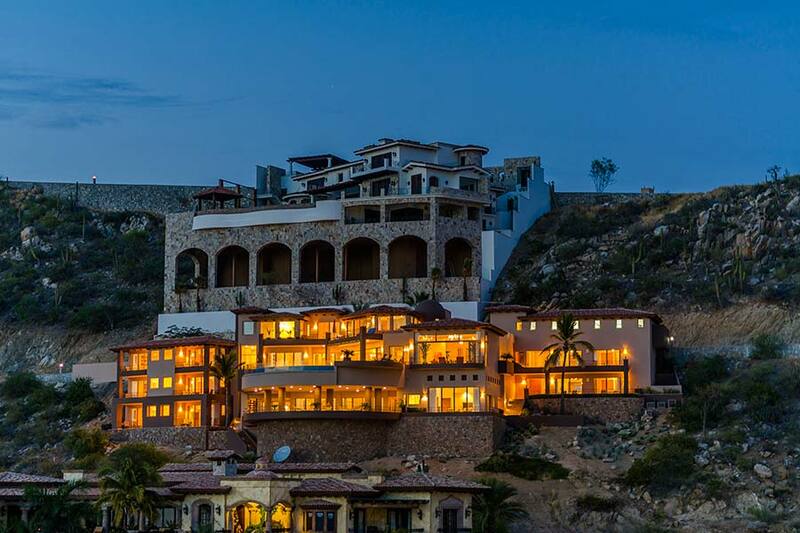 Villa Searfoss, a cliffside luxury retreat in the tony Mexican resort town of Cabo San Lucas, will be auctioned on April 13 with no reserve, according to Platinum Luxury Auctions. Trayor Lesnock, president of the Miami-based auctioneer, said the property in the chic Pedregal community has been on the market for several years. It’s currently listed by Cindy Stanford of Engel & Völkers Snell Real Estate for $6.7 million. He said the owner, who lives in Michigan, is selling because he doesn’t visit Cabo as much as he did when his children lived there. Overlooking the Pacific Ocean, the tri-level cast-concrete house was custom built by the owner in 2008. The owner couldn’t be reached for comment. The 10-bedroom, 11.5-bath bath Baja-style home has more than 11,000 square feet of living space, plus more than 5,000 square feet of outdoor living areas, including a pool deck, a fire-pit lounge, a spa and an infinity-edge pool designed to look as though it’s floating in the ocean. It also has a four-car garage that can be expanded. The master suite, which occupies 2,034 square feet of indoor and outdoor living space, includes a walk-in shower, a jetted tub, two walk-in closets, his-and-hers sinks and vanities, two water closets and a private office. Two staff or guest apartments, complete with private kitchens and living areas, can be accessed without going through the main house. In the grand salon, walls of windows provide panoramic views of the ocean and the stunning sunsets that define Cabo. Other amenities include a media/entertainment room, a second TV/game room on the lower level that has a wet bar and full bath, and a specially designed plumbing system that assures an infinite supply of hot water and high water pressure. The hillside house, which has desert landscaping, sits on .80 of an acre, one of the larger plots in the Pedregal. Villa Searfoss is only a mile from downtown Cabo, the entertainment and retail district. It’s also close to the iconic El Arco rock formation, where the Pacific Ocean becomes the Gulf of California, and the marina.